Our mission is to promote collaboration within the construction industry through bid opportunities, education, and networking. Our vision is to be the leader in the advancement of the building trades for our region. 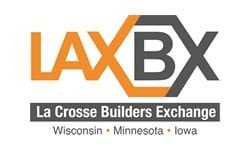 Our values are the foundation of everything we do here at LAXBX. They are the principles and ideals that bind our organization together and reflect how we interact with our members, employees, vendors, and all stakeholders. We are committed to exceeding the needs our members, employees and stakeholders. We are honest, confidential, and trustworthy. Our work is done right the first time, on time, every time. We are accurate and organized to save you time and money. We build and facilitate relationships within the construction industry to make our industry stronger together.